Description: An entity-relationship diagram is a visual structure, illustrating a system's entities and the relationships between those entities. It includes chen ERD, martin ERD, database model diagram, express-g and ORM diagram. Edraw helps you create various entity-relationship diagrams with pre-made symbols and smart connectors. 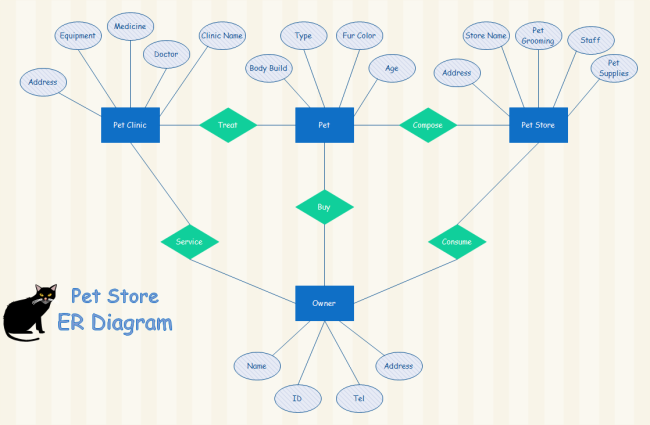 Here is a pet store ER diagram available to download and edit.